Who taught you to appreciate and love art? to paint or draw? to see the world through the eyes of an artist? to enjoy the beauty of the Black Belt region? Give to our future artists today on #GivingTuesday while honoring and/or remembering that special creative person in your life! 1. Donate now, in honor or memory of someone who inspired you! Please click the DONATE button below. No gift is too small. Each gesture draws us closer to our goals of offering arts enrichment opportunities to more and more youth and adults across the Black Belt region. Each gift helps to continue and preserve the rich cultural heritage of our unique region. Your gift makes the work we do each day possible. Art builds a better future! Donations of all types and amounts are appreciated. Donating your 'lightly used' sewing machine, fabric, or art supplies will help us provide more options for art classes and artists in need of supplies. 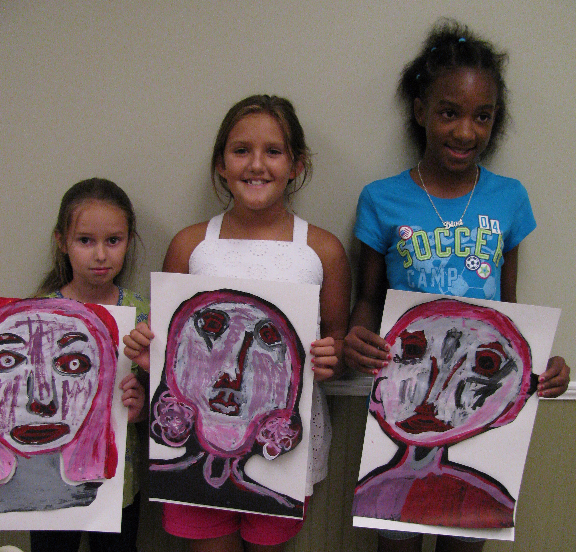 A donation of $65 will send a child to After School Art classes for one month, while $85 will send a child to Summer Art Camp for one week. A donation of $500 or $1,000 will help support Hog Wild for Art artists demonstrations and programs. And the donation of your time and talent through volunteering will provide a much needed service in our gallery or arts education classes (not to mention providing you with a fun and exciting adventure). So whether you are donating materials, time, or money - each and every gift makes a difference!